The Backstage Tool Pouch, developed with Balmain’s backstage stylists, is especially created to carry all bare essentials of the session stylist! The Backstage Tool Pouch with compact design is perfect to hold all session stylist tools! Features multiple multifunctional pockets and one removable transparent bag. The Backstage Tool Pouch, developed with Balmain’s backstage stylists, is especially created to carry all bare essentials of the session stylist! 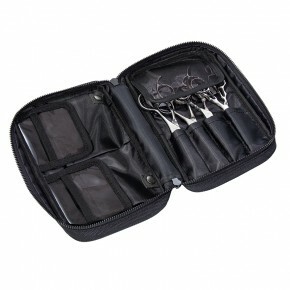 The Backstage Tool Pouch with compact design is perfect to hold all session stylist tools! Features multiple multifunctional pockets and one removable transparent bag.